Yesterday, operations failed (predictably) and an old post from 2007 about the impending loss of analog broad casting was promoted to the front page. Date:9/9/2010 It’s one thing to recycle column but at least exclude the ones that were time dependent AND remove “recycled columns” from showing up on the RSS feeder. There is efficiency and drive traffic then there is a lack of overall respect for your readers. Your efficiency shouldn’t result in lowering my own (or even multiply it by all subscribers who also wasted their time with dated reposted columns). Please bear with me here. It’s not my job to write blog posts and you get what you pay for (less than <%1 have made a donation). I use a plugin that sends one post to the front page every day by randomly selecting an old post. I can prevent it from promoting individual posts by flipping a switch. This process takes about 2 minutes per post. Now, understand that there are over 800 posts in the system. Doing that for all the posts will therefore take me at least 26 hours although due to the sheer inanity of the process it will likely take at least twice as long. I therefore fix posts that should not have been sent to the front page retroactively. This means that you may see an old post which should not have been promoted for a few hours before I take it away again. Obviously I can't eliminate it from people's RSS readers when they've already downloaded it, but it's gone from the blog. Another complaint which have recently shown increased statistics is the request for proofreading. Maybe this is due to the old posts again which makes the difference in proper grammar over the past two years more apparent. Maybe it's simply due to gaining new readers. The fact is I've received about as many complaints and requests for proof reading in the past two months (3) as I have since the blog started. Again, proofreading will add a 25% overhead. Z_ has graciously offered to proofread posts for me, but he has important things to do as well. If anyone wants to proofread, just send me edited html of a post (include the url as well) to jacob @ ... and I'll fix it. Now, I don't blog with the goal of providing free journalism. This means I won't spend 3 hours a day researching consumer reports and then serve a polished up article about, say, what the IRA limits are, how to open a savings account, or how much life insurance one should carry. I much prefer to expend 100% of my energies on thinking up new ways to look at personal finance and life in general. Thinking is hard! Thinking is much harder than compiling reports or even analyzing data. I'm not the one to complain, since I write this blog for my own personal enjoyment, but coming up with an original thought and its associated essay on a daily basis is damn near impossible. I could do it for about a year, because I had a backlog of good ideas. However, now I'm all out. It's like the story of the goose laying the golden eggs. There's an optimal way to spend the goose's energy. If I had to deal with the non-creative parts of blogging, I'd expect to write fewer original posts. I can absolutely understand why people burn out blogging or/and start hiring staff writers. Unfortunately, I have not found many people that could replace me and those who can aren't interested. Forsooth, whenever I think I write a new original post, odds are 1-2 against that I will somehow have covered the topic before. This means that blogging is mostly a waste of time anyway---I could just have read the backlog; only there are 800+ posts, so it's not easy to find the corresponding post. This really is "just a blog". It's not an online magazine. 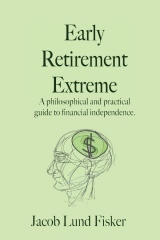 I prefer to spend my energies on more permanent and cohesive writings, like books, given that there does not seem to be much more I can say about personal finance on the blog---it's already been said. Naturally, anything that goes in print will be edited. The book(s) are of a much higher quality than the blog. The goal of the blog is to attract a community of like-minded people since there are few other places for them, not so much to serve articles. Since the blog is "complete" in terms of content that I'll share for free, I find that using the old post plugin is helpful to keep it active even as I only write 1--2 new posts per week whenever inspiration strikes. This is annoying to the minority who has read everything, but still helpful to those who have not read everything; some even enjoy reading things again. Overall, it is better to use it than not to use it, despite the collateral damage. As for the community, it seems to have moved to the forums. Thus the point of the forum is to support the community. The forum has 75--80 new posts each day. They won't be proofread either, but at least they'll be timely. Hence, to explain the way things have evolved, we used to have my writing and the community on the blog. Now we have my writing (and editing) in the book projects for the most part; the community is mostly on the forums; and the blog runs mostly on autopilot with me contributing "new" content 1--2 times per week instead of the usual 5--7. It is for these reasons that I prioritize my efforts as I do: 50% of my effort goes into consolidating the material into heavily edited books; 20% of my effort goes into the largely unedited blog since putting more effort into it is likely to result in duplication of effort; and the remaining 30% goes into the <a href="http://forum.earlyretirementextreme.com/">forum. 25 users responded in " The operations behind the blog, forum, and book "
A simple, perhaps not easy solution would be to mark somehow the post as “old”, or add the original date it was published. @rodpba – I already do this. The original date is at the bottom of the post. Maybe it should be at the top. Wish I was as efficient as you! Bravo! I notice blogs in minimalism trending to remove the option for comments. I hope negativity isn’t the reason for them doing so. Sorry to hear about the negative feedback you receive. I would bet the positive is at least ten-fold the negative, but as usual quieter about it. There is a very easy solution to this complaint. Simply offer the complainer (dissatisfied customer) their money back. I would, however, require a receipt be presented. I have never posted here but have followed your blog for a few months. Jacob, I just wanted to give my gratitude to you for your work. I think recycling old blog posts is a great idea. I have read over half of them to catch up, and my husband and I have been changing our lifestyles the more I read. Thank you for the information you share, and thanks for being an inspiration. Just curious Jacob, have you noticed a drop in you stats since reposting old posts? Reposts were introduced at the end of June. There’s some noise from the forum (middle of July) and Linkwithin (about the same time as OPP). In fact, I bet if TSD and GRW used OPP, they could scale back their blogging as well as I have. There’s really no need to repeat oneself as a blogger when a plugin does it just as well. I enjoyed the “level-headed rant” tone of today’s post, about as close to ERE losing his cool as he seems to ever get (and that seems pretty far away). Perhaps you could outsource the retro-proofreading of archived posts to the forum. Ask for a volunteer to proofread all the posts for a given week, or for the ambitious, for en entire month. A donation of time vis a donation of capital. I’ll sign up to proofread a prior week. I do same as Steve. Steps 1-3. I never thought to complain to the content provider that it was too much work for me. The gift of the blog and the content Jacob provides is worth well more than a little effort on my part. Thanks Jacob. Shame on anyone complaining about something they are getting for free. What an entitlement issue. You shouldn’t even acknowledge the complainers. You share your voice and opinion and everyone is free to read it or not. You have a lot of value to offer but you are not a machine and the old posts are great refreshers. You should do things that are of interest to you, don’t just write posts for the sake of keeping readers. I am excited for your book, I bet it will have a devote following like Tightwad Gazette. It used to really bug me when I noticed my memory was not as good as it once was. But then I realized there were some real advantages – I can reread my favorite books and TV shows and not remember the ending. I think you are doing a great job, Jacob. And for those of us who started reading after the beginning it’s new and enjoyable. Even if it was a repeat I would just call it a refresher. Would be interesting to know how many have actually applied all the principles they read of if it is more for entertainment. Nothing wrong with either way. @H – Funny as all hell. @Steve – I do the same as you. @Jacob – Ignorance is bliss right? Although, the date at the top would be “nice”, much like the recent forum addition of being able to go to the next page of posts from top and bottom now. I think I haven’t read the blog per se too much anymore because I have 1) read a lot of it and 2) post liberally in the forum, where so many ideas are born, live, and die – and a ‘cloud’ thought occurs. I have to say that the forums are extremely civil, no matter how much we may disagree, and thoughts/comms are traded on an equal basis of respect and really that we are all adults and can respect opinions. It’s not an “entitlement issue” it was one of consistency of message, a pointing out what some may see as a logical flaw if you will. If I had the same type flaw I’d expect someone to point it out to me as well. Example: recycling old blogs post saves a person say 2 hours of their time..now “downstream” the cost to every reader some amount of time that is nonzero (so and little as 5 sec by checking the “original date” and some as long as to take to actually read the article and realize from context it’s outdated).. At what point does the time saving of the poster become overpowered by the lost efficiency of all those readers? Now for a blog about “savings” this seems a key factor doesn’t it?.. If the subject matter contradicts itself should it not be mentioned if the content was free? If I post to everyone for free 2+2=4,345,234…should I not get complaints because it’s offered up as free? I absolutely should. Anyways…I’ve no issue with posts that are “as true today as when they were written” as I believe I said originally and could care less about spelling/grammar as long as the message is worth sorting through. Jacob answered me well enough and is at least aware if the issue which was my goal. I’m not here to be a troll so I guess that’s it. There’s no point arguing. The hive mind has spoken. What measures could you have undertaken to improve usability for long-term readers in the time it took you to write this heap of text? @Simon – I could have gone through about 2% of the database thus lowering the chance of this ever happening again by 2%. Overall, it would have been a waste of time. However, if anyone has 25–50 hours to spare and wants to volunteer for the exercise all you need to do is to go through all the 850 posts and write down the URLs for the posts that are dated—it will probably be about 40 or so—and send me the URLs and I will fix the problem preemptively. I would just like to add my sincere appreciation to Jacob for his service in providing us a community space for like minded individuals on path to financial independence to gather. He does not have to do this. Thank you Jacob. Let the complainers move on. First point: Yes I agree is instead of a recycle there was no post then the poster then it doesn’t apply but then neither do the reader lose time either. He does do it though to drive more traffic to his site, a new post would similar so he subs one for the other. Second: If this was true, for this site, why then does Jacob agree that these types of posts shouldn’t be reposted and that it was mere a breakdown in the process? Third: Well then it’s a good thing I’m not selling anything. penty, I think you’re trying to solve a different problem than the one Jacob is. You’re trying to maximize the efficiency of the group (Jacob+readers), but Jacob is only to maximize his own. (Incidentally I think it’s fine with these low stakes, but with higher can be bad (e.g. companies deciding it’s cheaper to pay settlements rather than re-engineer safety issues in their products). Since the cost is distributed (among all readers), each person makes an individual choice as to whether it’s worth the overhead. Now with this “everyone looks out for their own interest” situation, it may, as you suggest, not produce a universally optimal solution. But this is hardly on the same stakes as the tragedy of the commons, so for many it still feels ‘good enough’. Furthermore, it would go against social conventions for someone to demand that one person take a significant amount of time to save trivial amounts for themselves (referring to an individual rather than the readership as a collective). Sure, Jacob might be trying to optimize his efficiency regardless of the extended group. As I said above I think that it’s a logical flaw of his overall view if this is extended too far. Does the magnitude of the issue really matter if it’s one of philosophy? Steal a dollar, for example is just as bad as stealing 1 million if you believe blanketly that stealing is morally wrong. So in a sense you, csdx, are asking “is Jacob “for” retiring early at the expense of others or should it be a mutually beneficial relationship?” I believe this blog/his book and in many of his writings he DOES want it to be mutual..hence my initial comment pointing out the possible inconsistency. He and everyone else is free to decide how to resolve it. Well, anyway, I don´t mind that and agree with you. Should you find an easy way to insert this “originally posted in ..” in the RSS, would be a plus. If not, it´s your blog and you´re the boss!